Crete has been known for years as a beach holiday. Especially the north coast has beautiful beaches and large tourist resorts. But Crete is more than just beaches. 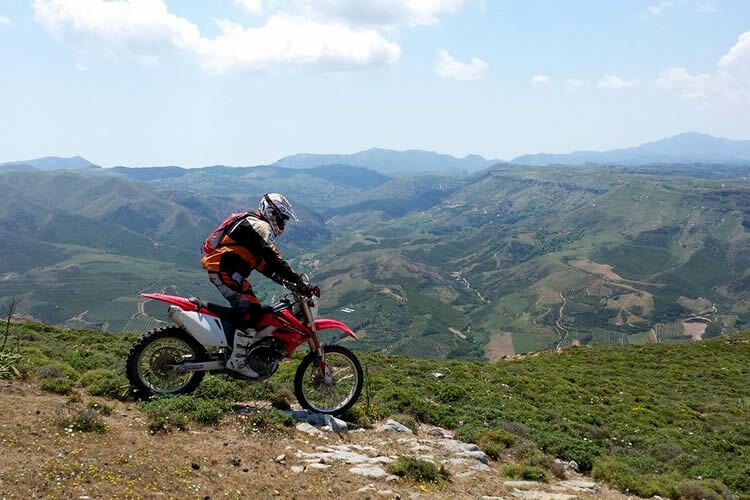 It also has rugged mountains with peaks over 2000 meters with stunning off-road tracks that connect the small traditional villages with each other. Here you will still find the authentic hospitality of the local population. We stay at a fixed location on an all-inclusive basis and every day we’ll make daytrips in different directions. This off-road tour will suit beginners as well as the more advanced rider. We will adapt our routes to the level of the participants’ abilities. Some of the tracks are reasonably tricky and an off-road training course or off-road experience is therefore mandatory.